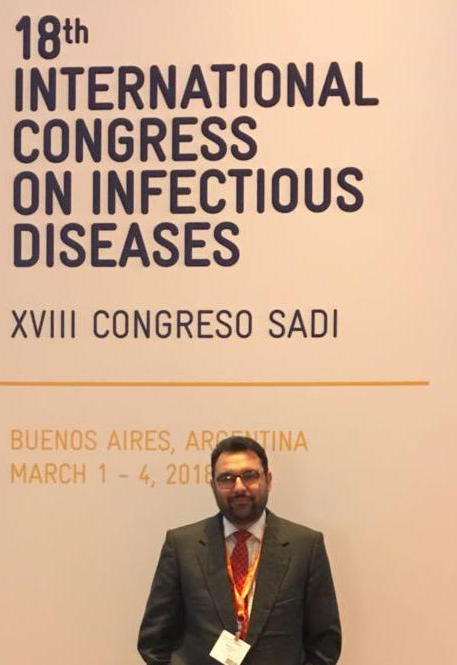 Dr. Mumtaz Ali Khan, Senior Scientific Officer at National Institute of Health Islamabad Pakistan attended 18th International Congress on Infectious Diseases and the XVIII Congress SADI. Mr. Khan presented two abstracts as poster presentation and one as oral. 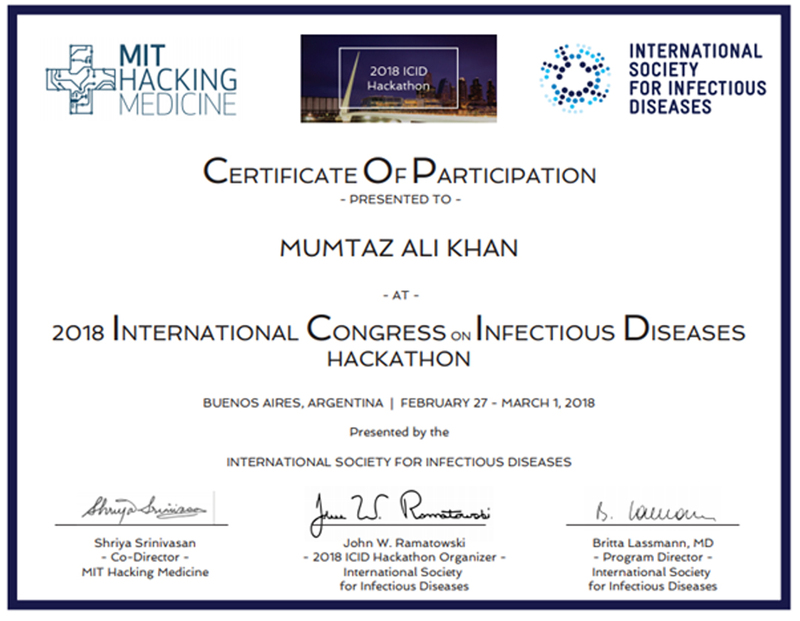 His enthusiastic participation as a presenter/delegate of Hackathon was one of the major contributing factors to the event’s success. He was awarded a sum of $1,500 USD Elsevier Foundation Award.